Depending on the live casino provider, different betting limits will be applied. In general, Live Roulette can be set aside from 1 pound. In a single case, the minimum bet is 1 pound if you bet on a single number, but that this is 5 pounds when you want to put in an area (e.g. even, odd, red or black). The maximum bets can be quite high at Live Roulette. With the usual game variant, this may vary between 1000 and 5000 pounds. Microgaming also has a game variant of only 250 pounds. If you want to bet for a lower amount then you can play at one of the online casinos using the live casino of Evolution Gaming Live Roulette from an amount of 50 cents. There are also several live casinos that feature VIP tables, with Live Roulette being able to cope with the maximum limits. NetEnt even offers the opportunity to play a VIP table with a maximum of 75,000 pounds. Live Blackjack often has more different variations and therefore more different betting limits than Live Roulette. 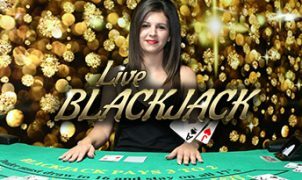 Live Blackjack has often more different variations and therefore more different betting limits than Live Roulette. 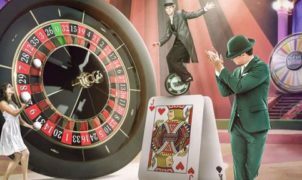 With the live casino offer of Netent, Ezugi and Microgaming, the maximum bet amount is between 100 and 300 pounds, which at Evolution Gaming is 1000 pounds or more. Evolution Gaming features so many Live Blackjack variants that the minimum bets range between 5, 25, 35, or 40 pounds. In addition, they also have a game variant of the game, which can already be set at 50 cents. Higher wagering limits are applied when you play a VIP table. The minimum bet is often around 100 to 200 pounds and can amount to tens of thousands of pounds.